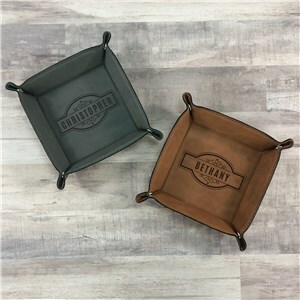 Every gentleman can appreciate a classic way these leather valet trays organize the days collections and accessories. 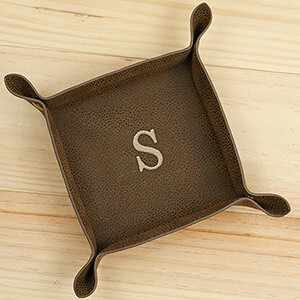 Toss in pocket change, his keys, jewelry, these elegant leather trays hold it all with ease. Not only are the products unique and personal, the customer service is undoubtedly the best I have ever encountered--online or in stores. I will definitely patronize this company when I need more gifts! Terrific for groomsmen gifts, personalized gifts for Dad and more.